BMW M40 engine is a four-cylinder eight-valve engine with a volume up to 1.8 liter, and is installed on the BMW 3 Series (E30 and E36) and E34 5 Series. After extensive preliminary testing, which mainly concerned the configuration of the cylinder head and combustion chamber – the final draft of the 4-cylinder BMW M40 engine was developed. Powertrain manufacturing started in mid-1987 at the BMW plant in Steyr (Steyr) and continued until 25 April 1994. Total of 838 290 motor units were produced. M40B18 was based on the 1.6-liter M10, but the rods were borrowed from the 2.7-liter M20. For BMW E30 318i fuel injection system from Bosch Motronic 1.3 was installed , for E36 318i – Motronic 1.7. 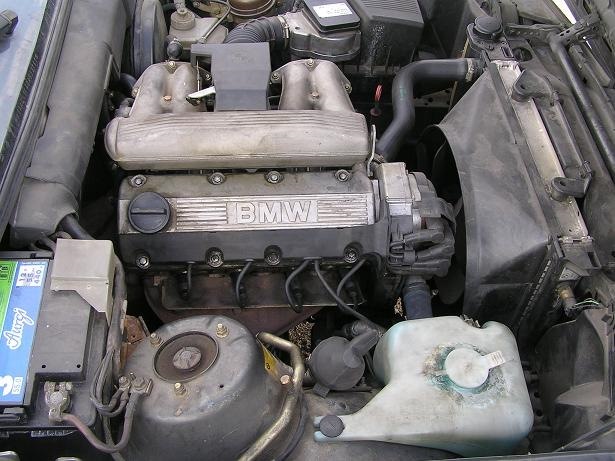 In 1991 E34 518i a new engine management system was installed – Digitale Motor Elektronik (Bosch-Motronic). This engine has belt driven SOHC, aluminum head and gray cast iron block has become a substitute for the M10 engine. All fixing holes for the engine support are disposed on the frame hard block portions. It should be noted that the power unit of M10, in turn, was established over 25 years on various BMW models and contributed to the formation of a positive image of a company. All problems you can face with are similar to the BMW M40B16 engine.